While most think of Alabama beach communities as Summer-only, others choose to live in these scenic resort areas year-round, mainly renting furnished and scenic condos and houses. The Gulf Coast is a hopping place in the fall! With events planned for the off-season months, it is a fun and affordable time to plan to stay a few weeks or months. Check out our interactive map for vacation homes and condos. The best part is that you connect directly with owners to get honest prices and local area recommendations. 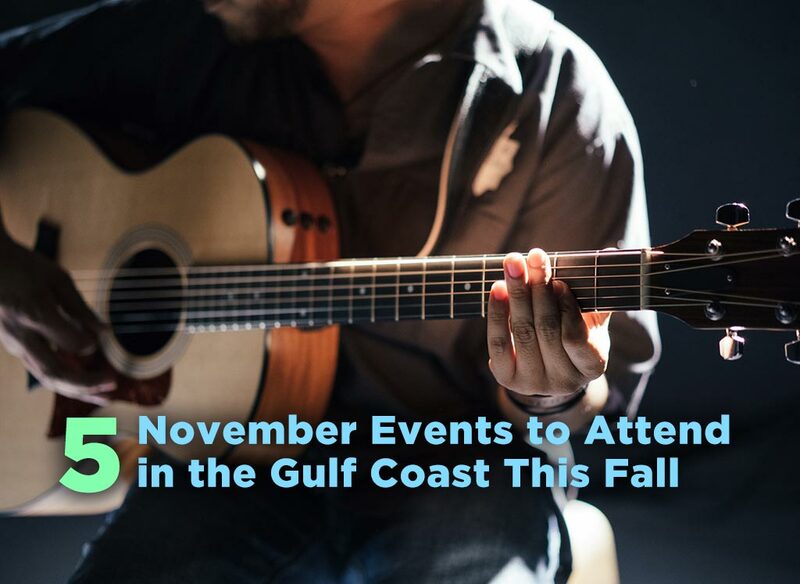 Now, check out these five must-attend events on the Alabama Gulf Coast this Fall! The Hangout Oyster Cook-off & Craft Beer Weekend is going to be huge! On November 3rd-4th at The Hangout in Orange Beach, come taste the best oysters in America as some of the most prestigious chefs cook for you! Food Network Stars Martie Duncan, Cory Bahr, and Rusty Hamlin join Chris Lilly, Rob McDaniel, and Adam Evans to kick off this celebrity cook-off. Live Music by Anderson east, Cam, and Rodney Atkins, will be featured at the event. That's not all! 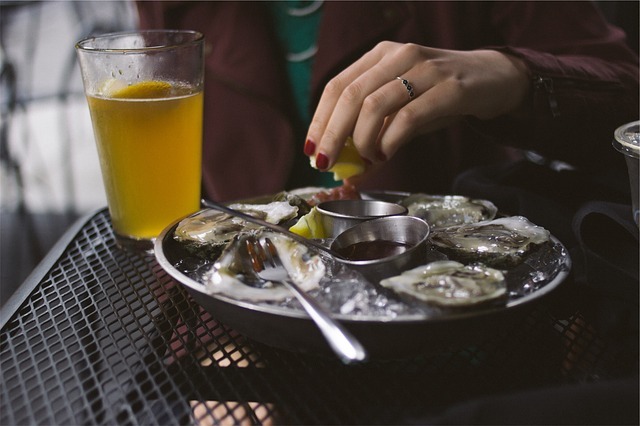 Over 30 local breweries will be assisting to get those oysters down! The Bloody Mary Invitational will also occur, featuring some the best mixologists in the country. With all this going on, it is not an event to miss! The 33rd Annual Frank Brown International Songwriters' Festival is a local favorite. From November 9-19th, this festival will feature over 200 singer/songwriters at dozens of venues from downtown Pensacola and Perdido Key, Florida, into Orange Beach, Gulf Shores, Bon Secour and Silverhill, Alabama. You can expect grammy award winning artists, along with the writers that wrote big name songs. Most venues have no to little cover charges. The festival was named after a night watchman at Flora-Bama, whose character is still remembered through this event. The World Food Championship is a foodie paradise! At the Wharf in Orange Beach, this huge event will feature hundreds of competitors on November 8-12th. The best part? You can taste some of it! Check out the website to buy tickets. Although general admission is free, tickets for specific events cost a modest amount. Food trucks will also be in attendance. Come hungry, leave happy. There will also be informational events on cooking heart healthy and for those with allergies. Come see the Fairhope Film Festival! On November 9-12th, 70 select feature length, foreign, short, documentary, and shorts will be shown in seven different venues across the city. This is the fifth year of the festival and it is a hit among goers and locals alike. The backdrop will be that of the southern charm of the city. Flower-filled streets and the bluffs over the bay will create a picturesque atmosphere. Opening and closing parties will be present, as well as meet and greets with select directors, actors, and screenwriters. 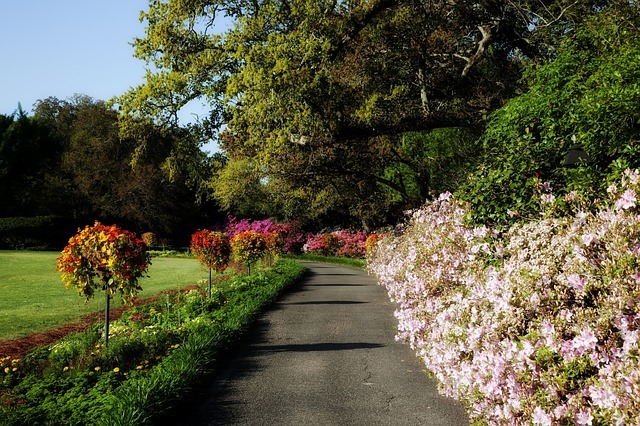 Take a day-trip to Mobile and go see the Magic in Lights at Bellingrath Gardens! From November 24th to December 31st, this event in Theodore, Alabama, will feature more than 1,100 set pieces, 3 million lights, and 15 scenes through this 65 acre garden estate. There will be live Christmas music in the South Terrace of the Home on Sundays through Thursdays. Hot chocolate will be served on Live Oak Plaza. Santa will also be there to take pictures and the gift shop will be open for business. Make sure to get your tickets in advance for these events! When you are looking for a home base to attend these events, check out our listings here on Long Term By Owner. The easiest way is to use our interactive map on the home page to pinpoint a location. Safe Travels!